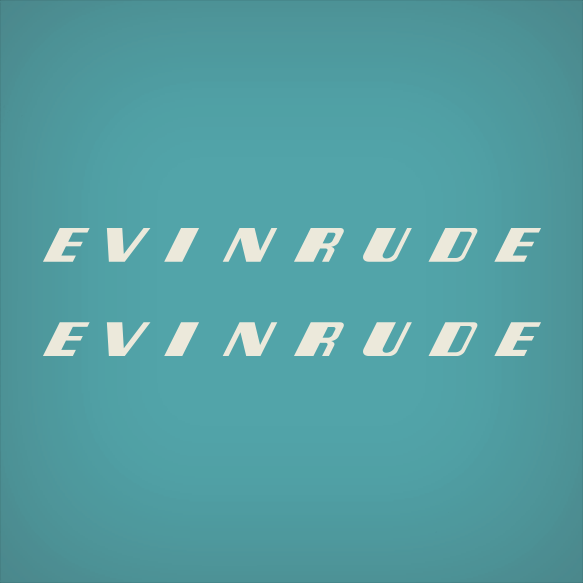 Evinrude 1.5 hp lettering Decal set replica for 1948, 1949, 1950 and 1951 Evinrude motor covers. Letters are cut on Beige vinyl. Size: 7" x 1/2" inches each decal.